I was checking out 53rd St. School’s “new” page and your name was at the bottom of the calendar. 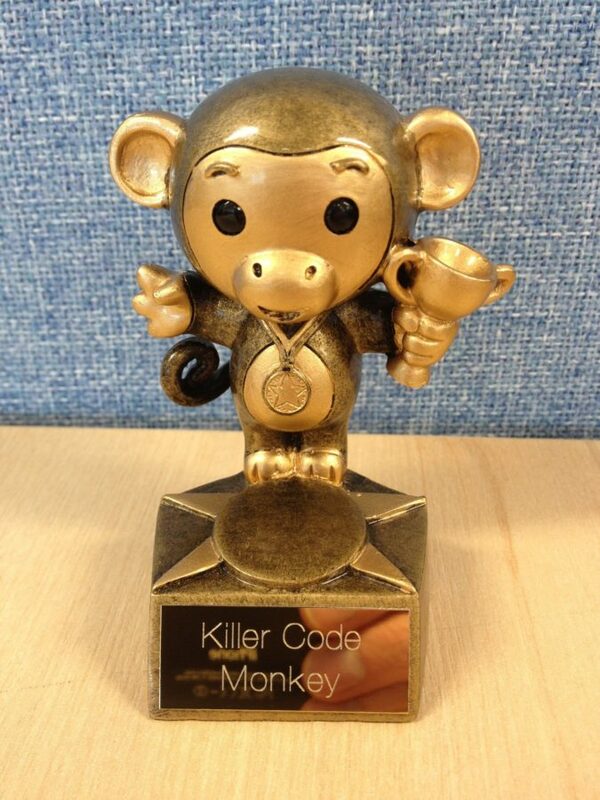 I just have to let you know I so love monkey’s and love your trophey monkey!!!!! I’m really surprised I haven’t been given one of those. People give me so many different monkey’s that I have never seen before. haha what a cool trophy. Where can I get one like that ? Did you make it or buy it somewhere ?